A church building built in the 1930s is under new ownership once again. Photo by Burl Rolett. After serving two parishes for more than 80 years, a Capitol Hill church building is in the hands of its second Denver developer in six months. 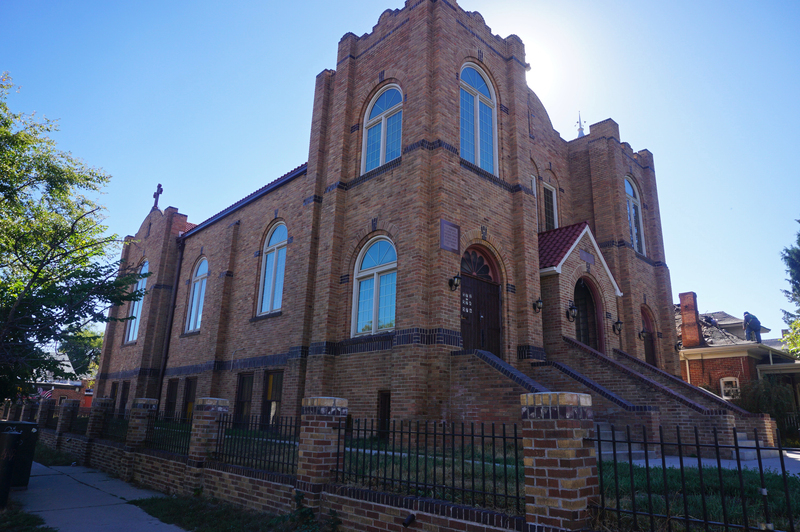 Daniel Newman, founder of Denver tech company Roximity, bought a former Ethiopian Orthodox church building last week for $775,000. A California-based developer sold the property after buying it only six months earlier with plans to convert the building into residential units. Pinnacle Real Estate Advisors broker Paul Schneider represented the seller and said the new owner is planning a residential project similar to one his client couldn’t execute from home. The building sits at 572 Pennsylvania St. and was originally home to the Greek Orthodox Church. The Greek Orthodox Church sold the building to the Ethiopian Orthodox Church in 1998, which sold it to the California developer in April 2015. Schneider handled both the April 2015 purchase and the building’s most recent sale, which closed Oct. 8. In April the church sold for $620,000, city records show, meaning the buyer made $155,000 on the six-month hold. The church building is a 6,884-square-foot brick building at Sixth Avenue and Pennsylvania Street. It was built for the Greek Orthodox Church in 1933; and the church moved into its current cathedral on Alameda Avenue near Colorado Boulevard after selling the property in 1998 for $222,000. Dunton Commercial broker Mark Fouts represented the Ethiopian Orthodox Church in its April 2015 sale. He said the congregation had grown out of the space. Fouts said both the Greek and Ethiopian Orthodox churches ran into the same problem that plagues many Capitol Hill apartment dwellers. Fouts pitched the church as a redevelopment opportunity as soon as he began marketing it back in spring 2014. The parking issue made the property no longer suitable for a gathering space, but Fouts said a condo or apartment developer could get around it. Newman bought the property acting as 572 Pennsylvania LLC. That same LLC took out two loans backed by the property on the day of purchase – one for $500,000 from Montegra Capital Resources and another for $175,000 from Jason and Ellen Winkler, co-owners of RiNo’s Industry office building. Newman’s location-based marketing company Roximity keeps its Denver office at Industry. Newman declined to comment on his plans for the Pennsylvania Street church when reached by phone on Wednesday. Schneider said he marketed the building as a redevelopment opportunity because of its Capitol Hill location.